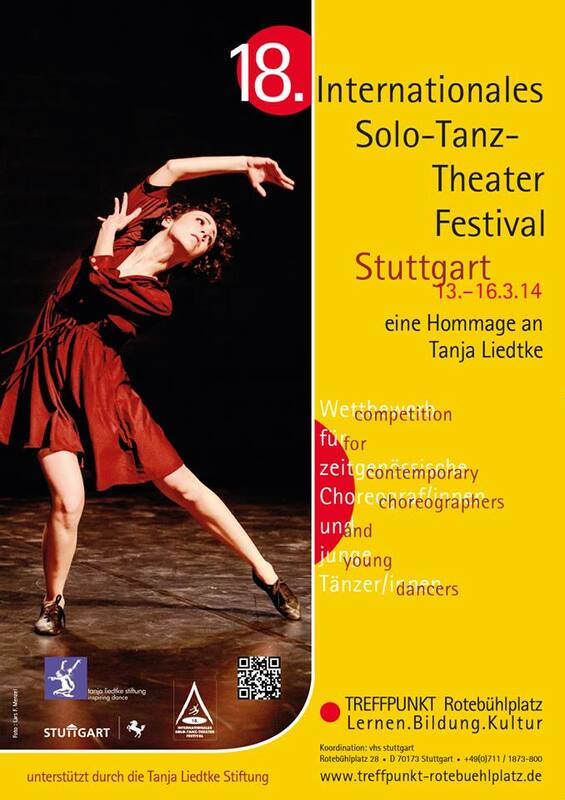 STUTTGART, GERMANY | The 18th International Solo-Dance-Theatre Festival in Stuttgart, Germany, is calling for applications from young dancers and contemporary choreographers from around the world. Young dancers and contemporary choreographers can apply with their latest productions. The festival organizers will pay for virtually everything, including meals. There is no entrance fee. After the deadline a pre-jury selects participants who will perform their productions between 13 and 16 March 2014 in front of the jury and the audience. The jury awards altogether six prizes, three for each of the two categories “choreography” and “dance”. The 1st prizes are awarded with € 3.500,- each, 2nd prizes with € 2.500,- each and the 3rd prizes with € 1.500,- each. The tour will take place in Germany from 14th November until 26nd November 2014. A global fee, travel expenses, overnight costs and catering will be paid. Deadline for applications: 11 November.